Mikel Arteta raised the hopes of Everton when he agreed to an extension of his current contract, by another 5 years. He will reputedly be earning close to British Pound 75,000 per week, making him the highest earner ever in Everton's history. Perhaps another player will break that record one day, but for the moment Arteta will be Everton's top earner. 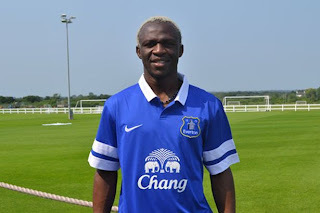 It is hoped that his decision to stay will spur on the team as he is a crucial player in Everton. Perhaps Pienaar should also follow suit and extend his contract. Pienaar is, after all, seen by many as Everton's 2nd most creative player after Arteta. For the moment, all looks positive for Everton.